A gloss effect for an original clock ! Here is a modern a classy style for this design clock. This trendy wall clock is 47 cm in diameter. Free 48 / 72 h delivery in metropolitan France and Belgium for this kitchen clock. 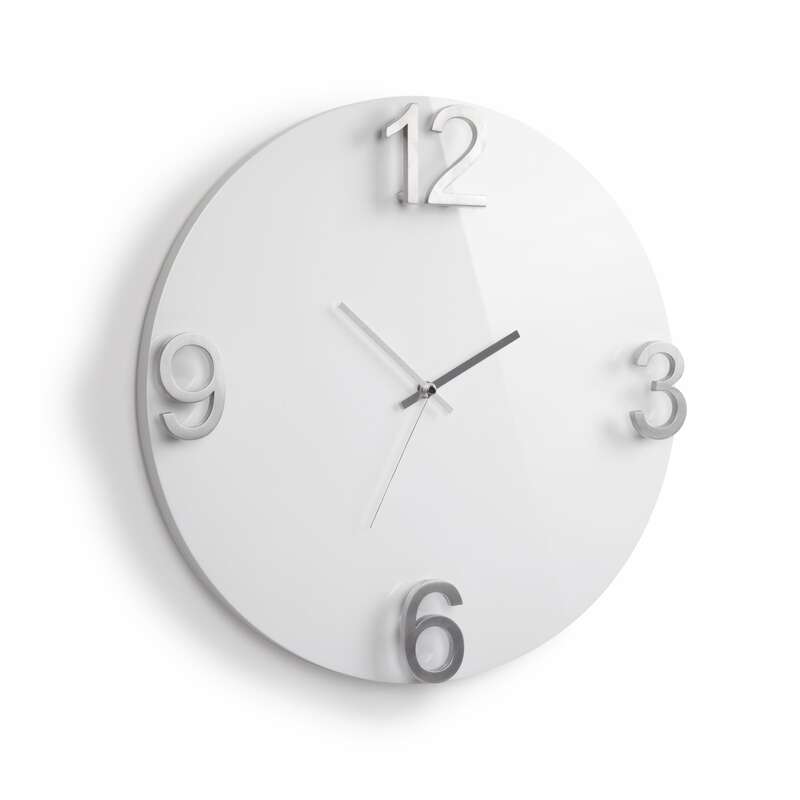 Very simple and bright this large design clock will perfectly decorate your interior. Legible hours, clear colors and design hands, here you have enough to bring a practical and contemporary touch thanks to this original clock. Fitting easily into your lounge or kitchen this model of a modern wall clock will not go unnoticed by your guests. This interior clock will also be a very nice wall decoration that you can match with a modern canvass. 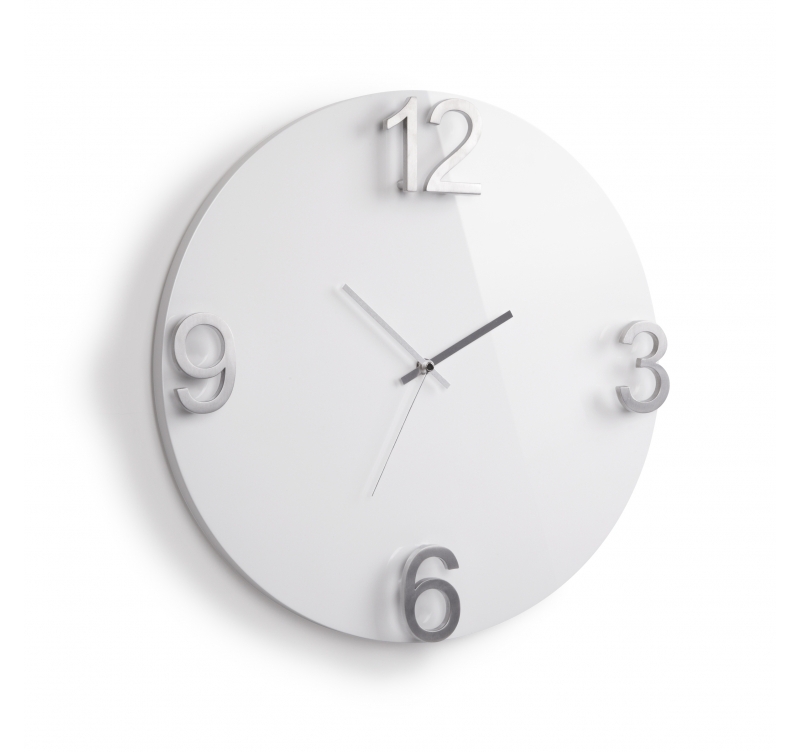 All our lounge wall clocks are fitted with a quartz movement and work on standard batteries (not included).